I had two items to place under this letter and I could not choose between the two so am posting both. Blueberries: Like apples these are versatile and healthy. In fact I think they are the healthiest food around. Love them in 1/2 and 1/2 . great for all the 4th of July desserts. Am making red white and blue pies using these with cherries and vanilla ice cream. Item # 2 are butterflies. Been spending time identifying the many i have seen around this area of the Ozarks. the other day i spotted the tiniest one I have ever seen. Finally found out it is some kind of Eastern Pygmy, but in going to day to try to find an image of it only it's wetsrn counterpart the western pygmy would pull up. The western likes desert areas and looks a little different. It is damp here and I did not want to mislabel and call a western the tiny butterfly all over my yard here so am going to post a picture of a butterfly I would love to see and even though we have several dozen types here, I doubt if this one comes here. It is so beautiful. Butterflies surely symbol the resurrection of Jesus Christ almost more than anything else I can think of. I read a book about a butterfly to my oldest son when he was little that featured this theme. 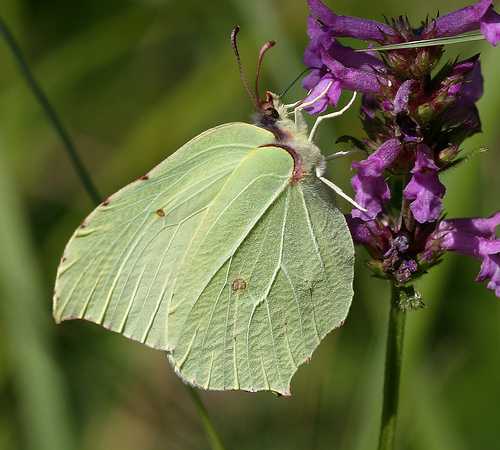 The butterfly is called a Brimstone and lives longest of butterflies. ( 10 months)I have seen luna moths here which kind of have the same green to them. Luna moths are really pretty and I usually do not care for moths, but they fascinate me.